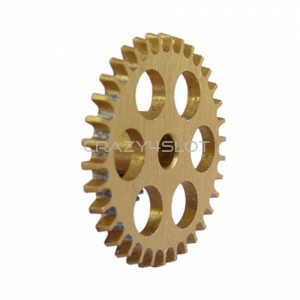 NSR Plastic Anglewinder Crown 26 teeth, 16mm diameter, yellow color, for 2.00mm axles. 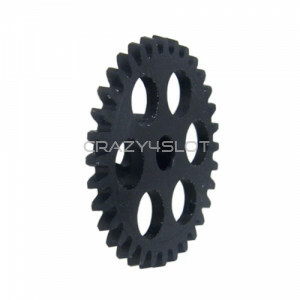 Not ..
NSR Plastic Anglewinder Crown 27 teeth, 16mm diameter, white color, for 2.00mm axles. 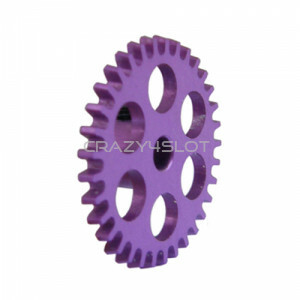 Not compa..
NSR Plastic Anglewinder Crown 28 teeth, 16mm diameter, grey color, for 2.00mm axles. 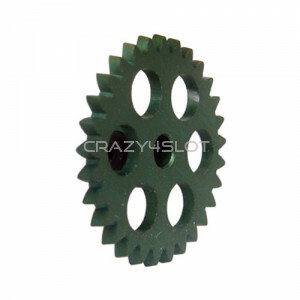 Not compat..
NSR Plastic Anglewinder Crown 29 teeth, 16mm diameter, green color, for 2.00mm axles. 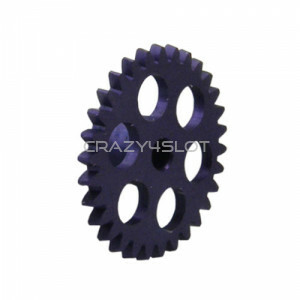 Not c..
NSR Plastic Anglewinder Crown 30 teeth, 16mm diameter, in dark blue color, for 2.00mm axles. No..
NSR Plastic Anglewinder Crown 31 teeth, 16mm diameter, red color, for 2.00mm axles. 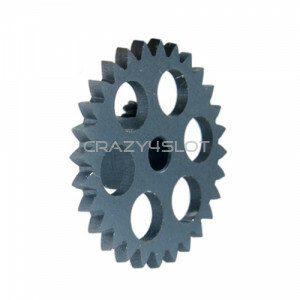 Not compati..
NSR Plastic Anglewinder Crown 32 teeth, 16mm diameter, black color, for 2.00mm axles. 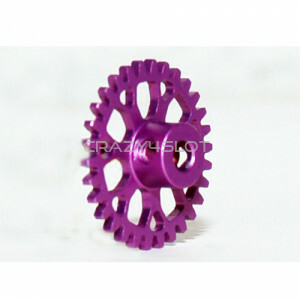 Not c..
NSR Plastic Anglewinder Crown 33 teeth, 16mm diameter, magenta color, for 2.00mm axles. Not..
NSR Extralight Aluminium Anglewinder Crown 28 teeth, 16.8mm diameter, for 3/32'' - 2.37mm axles..
NSR Extralight Aluminium Anglewinder Crown 29 teeth, 16.8mm diameter, for 3/32'' - 2.37mm axles..
NSR Extralight Aluminium Anglewinder Crown 30 teeth, 16.8mm diameter, for 3/32'' - 2.37mm axles..
NSR Extralight Aluminium Anglewinder Crown 31 teeth, 16.8mm diameter, for 3/32'' - 2.37mm axles..
NSR Extralight Aluminium Anglewinder Crown 31 teeth, 17.5mm diameter, for 3/32'' - 2.37mm axles..
NSR Extralight Aluminium Anglewinder Crown 32 teeth, 16.8mm diameter, for 3/32'' - 2.37mm axles..
NSR Extralight Aluminium Anglewinder Crown 32 teeth, 17.5mm diameter, for 3/32'' - 2.37mm axles..
NSR Extralight Aluminium Anglewinder Crown 33 teeth, 16.8mm diameter, for 3/32'' - 2.37mm axles..
NSR Extralight Aluminium Anglewinder Crown 33 teeth, 17.5mm diameter, for 3/32'' - 2.37mm axles. 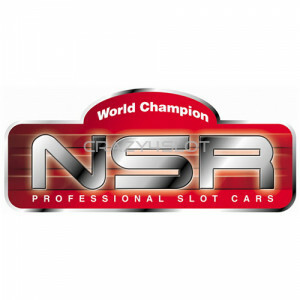 ..
NSR Extralight Aluminium Anglewinder Crown 34 teeth, 16.8mm diameter, for 3/32'' - 2.37mm axles..
NSR Extralight Aluminium Anglewinder Crown 34 teeth, 17.5mm diameter, for 3/32'' - 2.37mm axles..